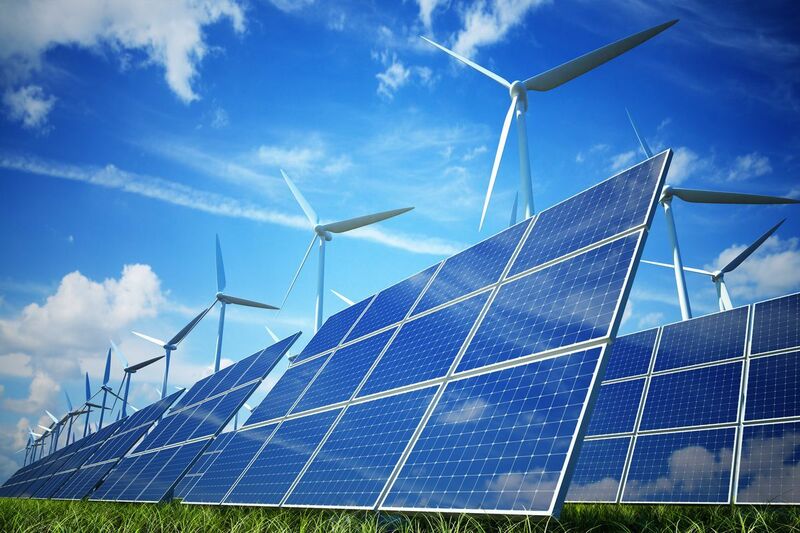 Bloomberg New Energy Finance has this week announced that, according to its figures, the world surpassed a total of 1 terawatt (TW) worth of wind and solar capacity some time before the end of June. The announcement comes by way of Bloomberg New Energy Finance’s (BNEF) up-to-the-date database of installations around the world, and is highlighted in a new report for BNEF clients entitled World Reaches 1,000GW of Wind and Solar, Keeps Going. Specifically, BNEF says that by the end of June 30, 2018, total wind and solar capacity hit 1,013 gigawatts (GW), lined up neatly between wind with 54% and solar with 46%. The milestone also allows a moment to stop and look back. 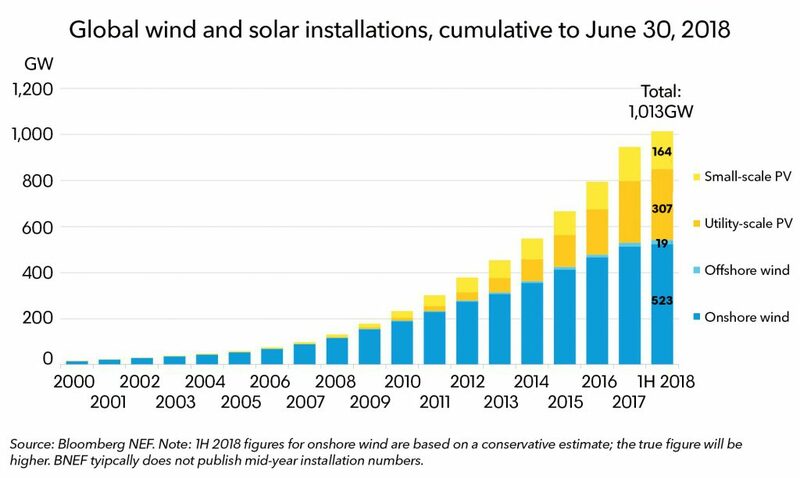 According to BNEF, the total installed capacity of wind and solar has grown 65-fold since 2000 and more than quadrupled since 2010. More impressive than the already-impressive combined growth is the growth of the solar PV industry which only 10 years ago in 2007 boasted just 8 GW of installed capacity, whereas the wind industry boasted 89 GW. However, since then, solar PV has grown from accounting for 8% of total installed wind and solar capacity to a current 46%, growing 57-fold in just 10 years. Bloomberg also explained that it estimates a total of $2.3 trillion was required to see capacity hit the 1 TW mark, but that the second terawatt will cost “significantly less” due to industry-wide technology innovation resulting in significant price declines. Bloomberg New Energy Finance’s New Energy Outlook 2018 report estimated that capital expenditures on wind and solar generation will total $1.23 trillion in the next five years alone. It’s also worth noting Bloomberg’s track record in accurately predicting the movement of the renewable energy industry. 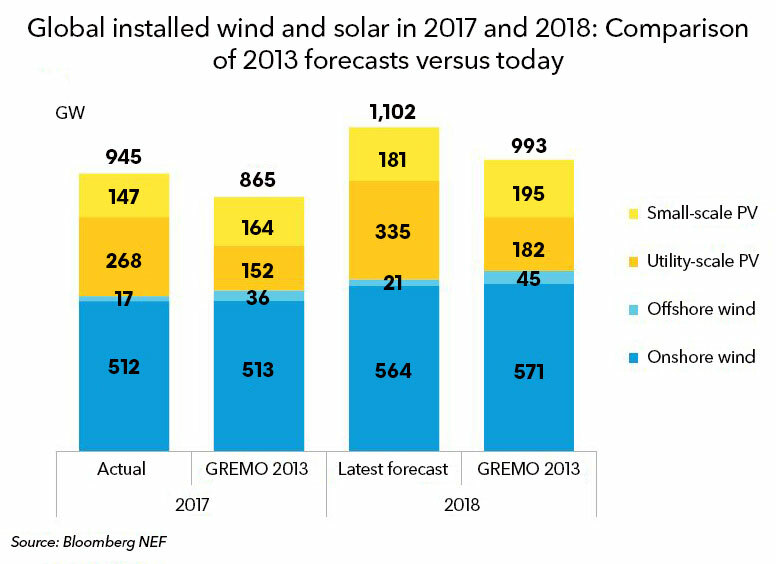 Specifically, BNEF’s 2013 Global Renewable Energy Market Outlook report predicted wind and solar capacity would reach 865 GW by the end of 2017 and near the 1 TW mark by the end of 2018. In reality, BNEF underestimated the pace of growth, with 945 GW worth of capacity by the end of 2017 and actually hitting the 1 TW mark halfway through 2018.